Comments: Softcover, 170 x 245 mm . First edition, 2014. Limited edition of 250 signed copies. 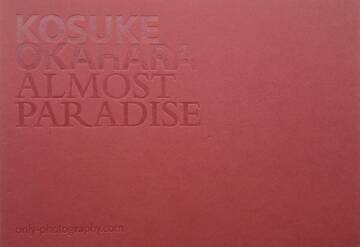 Kosuke Okahara's series Almost Paradise, made in 2013, recounts the story of South American, primarily Colombian migrants attempting to reach the USA on risky and difficult routes via Guatemala, Costa Rica, Panama and Mexico. In compelling black and white images, Okahara has captured the joys and sufferings of these people without turning them into mere objects for his camera. The book was printed using an unusual process which lends it an appearance reminiscent of intaglio work. In this way it conveys the full drama of disappointed hopes.